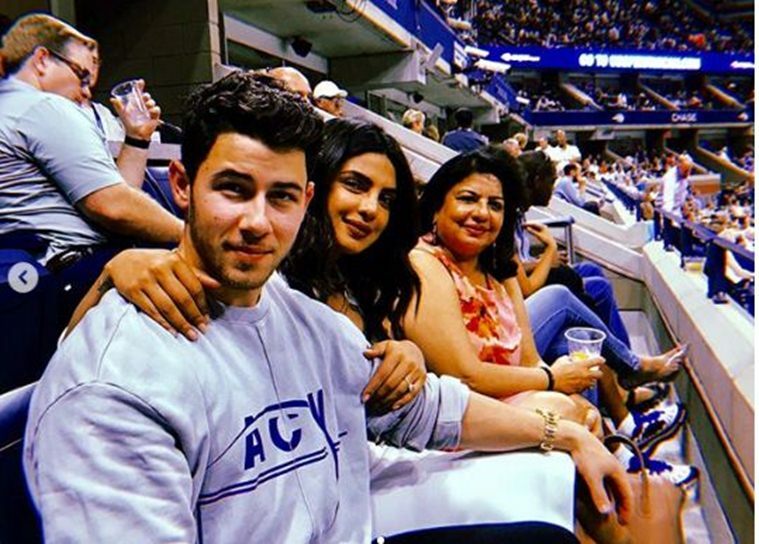 Priyanka Chopra and Nick Jonas are now enjoying some family time attending the US Open clash in New York. 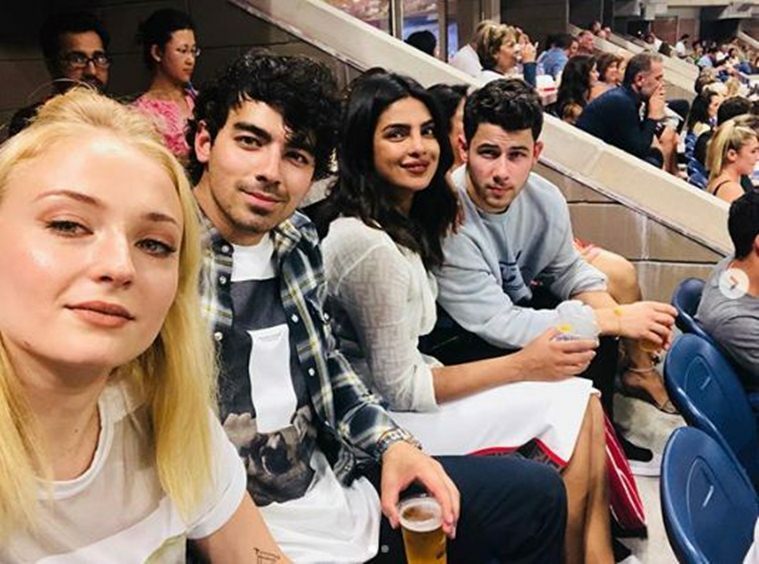 New York: After visiting Mexico for a private day trip, lovebirds Priyanka Chopra and Nick Jonas are now enjoying some family time attending the US Open clash between Serena Williams and Czech Republic's Karolína Pliskova in New York. 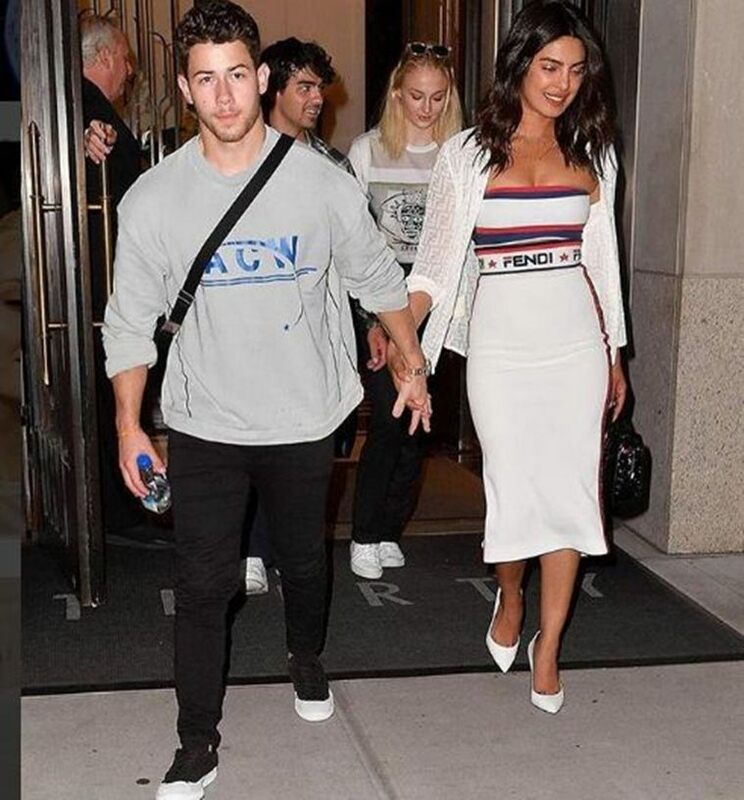 The couple was accompanied by Nick's brother Joe Jonas, his fiancee Sophie Turner and Priyanka's mother, Madhu Chopra. They attended the US Open on Tuesday (local time) in New York and looked excited for the game. Meanwhile, Serena Williams entered the semi-finals of the women's singles even of the US Open for the tenth successive year. 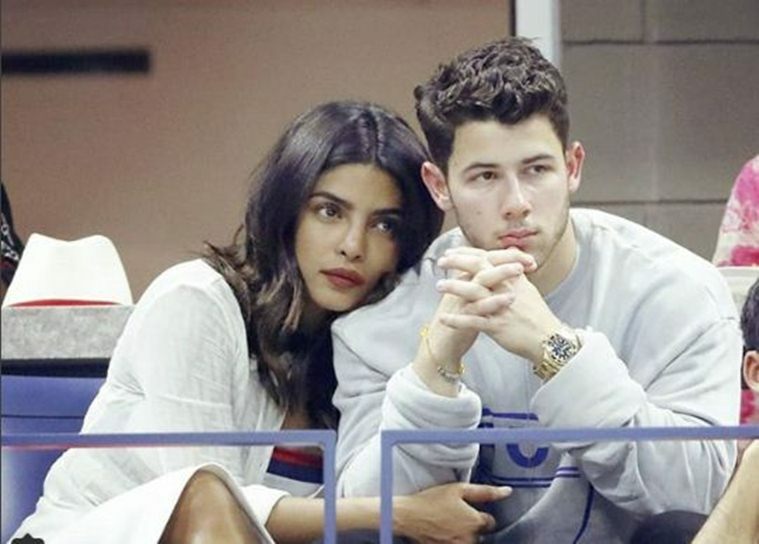 After keeping fans and media guessing for the longest time, Priyanka and Nick confirmed their engagement last month with a 'roka' ceremony, followed by a private party in Mumbai. Both the events were attended by near and dear ones of the couple.